Dope! The most incredible raw Hip-Hop door stoop “carol” visual… ever! Respect Doza and The L.E.A.G.U.E. for this “Lullabye” jawn putting 2017 to sleep like rock-a-bye baby! We’ve posted blessings from Doza before. He’s one-third of the Narcotechs (who we’ve also posted on here). Remember them? If not (or if you just want more), click on the names. Get to know ’em. 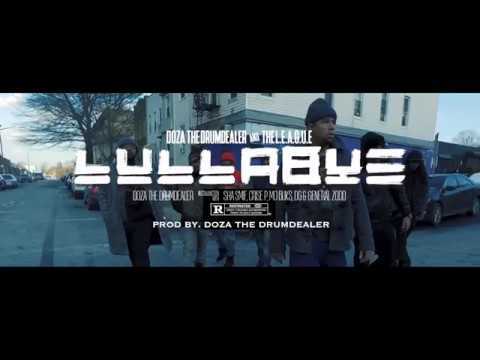 Posted in Hip-Hop, Mixtapes, Videos | Tags: DOZA THE DRUMDEALER, Lullabye, M.J.L.A.R., M.J.L.A.R. (MOSTLY JUST LOOPS AND RAPS), MJLAR, MOSTLY JUST LOOPS AND RAPS, The L.E.A.G.U.E.